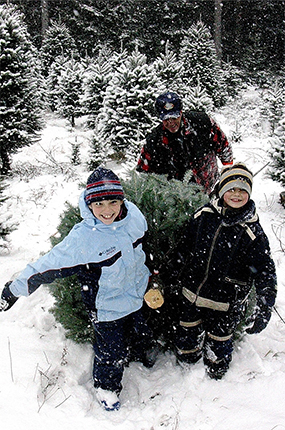 Quebec Balsams Export is a family business that was established in 1955 by Normand Couture, well remembered in the area for his love of nature and his flair for commerce. 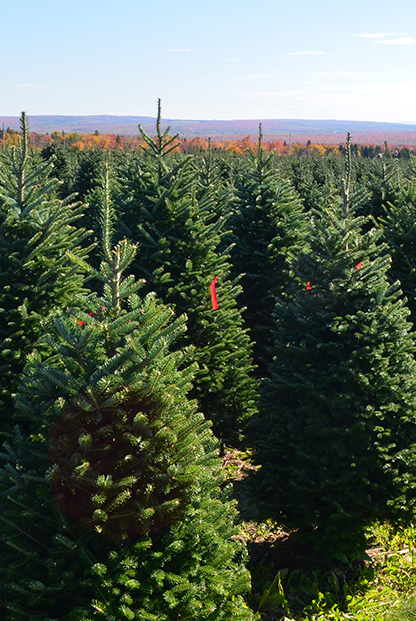 He started producing Christmas trees and, over the years, developed lasting relationships with the many landowners he worked with. His financial implication in the community helped establish a profitable market for the emerging generations. After his death in 1985, the business was taken over by his son, Gerald, who followed in his footsteps. Despite the many obstacles he encountered in the beginning, he forged ahead by establishing new contacts, welcomed workers from Mexico and willingly hired the children and grandchildren of his father’s employees. He modernized the equipment to safeguard the work environment and adopted better cultivation techniques in order to protect and preserve the integrity of the soil. 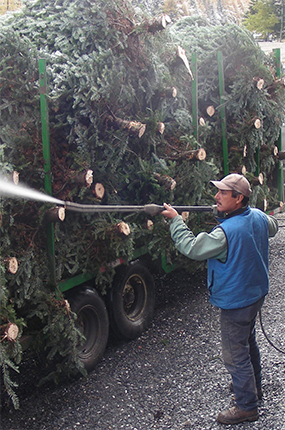 Today, we manage more than 1 million wild and cultivated fir trees. We begin by carefully choosing our plantation sites and operate in accordance with good soil management principles, using only choice seedlings, from a variety of sources, for planting. Modern equipment is used to apply fertilizers and chemicals to control weeds, insects and disease. 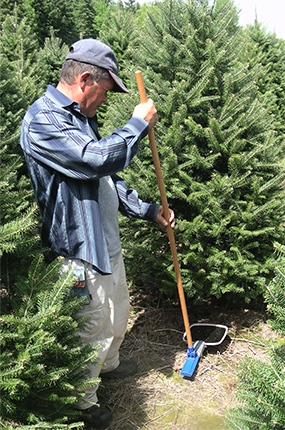 We also shape and shear our trees annually to further enhance growth. Our goal is to distribute a fresh, beautiful product of quality to as many families as possible; while maintaining a long-lasting, ethical relationship with our clients and our employees. 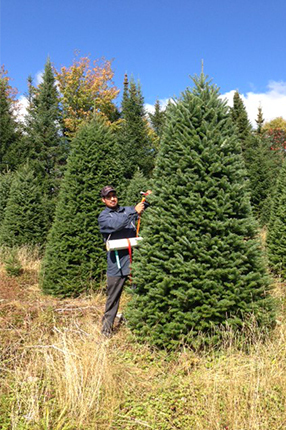 Quebec Balsams Export strives to deliver a product of quality, beautiful and fresh and offers a customer service based on long lasting, good, equitable relations. Conscious that the integrity of the Earth, unique natural habitat of mankind and all known forms of life is maintained through the interdependency of each of its parts; our role as a responsible, agricultural enterprise will be to protect and preserve the environment in the interest of sustainable development, for the benefit of current and future generations. C-TPAT – Quebec Balsams Export Inc. is committed in its partnership with U.S. Customs and Border Protection in securing the International supply chain and our country’s safety. 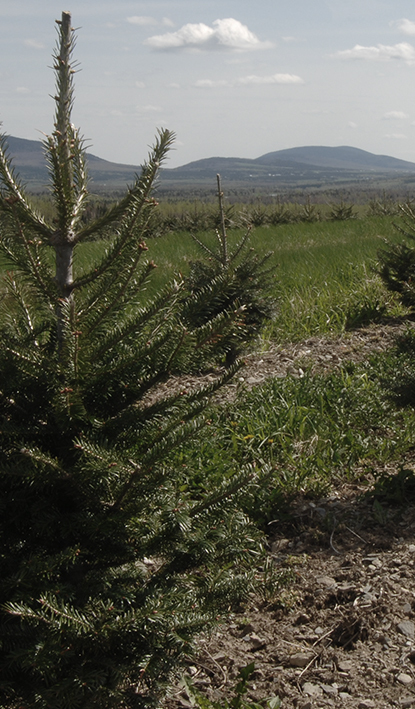 L’Ordre national de mérite agricole This annual is the highest distinction bestowed upon Quebec’s agricultural enterprises. Presented by the provincial Government, this honour recognizes the accomplishments and knowhow of the producers and sets high standards for the agricultural community. Created in 1889, this contest promotes excellence and rewards innovation in this field. Ferme Quebec Balsams Inc. received the bronze medal in 2001; the silver medal in 2006 and will competed for the gold in 2011. 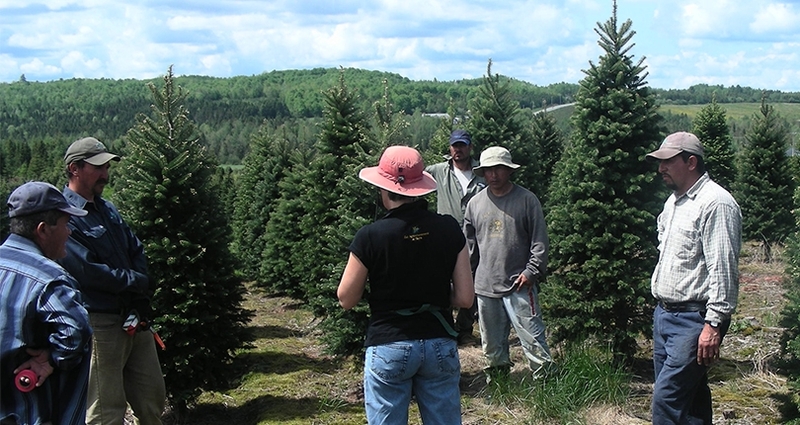 ISO 14001 – Ferme Quebec Balsams was the first North American Christmas tree producer to be certified ISO 14001 on June 16, 2003. ISO (International Standards Organization) is recognized in more than 110 countries worldwide. The 14001 program integrates the daily management of a company to ensure the business activities are performed in a manner to reduce any harmful effects to the environment. 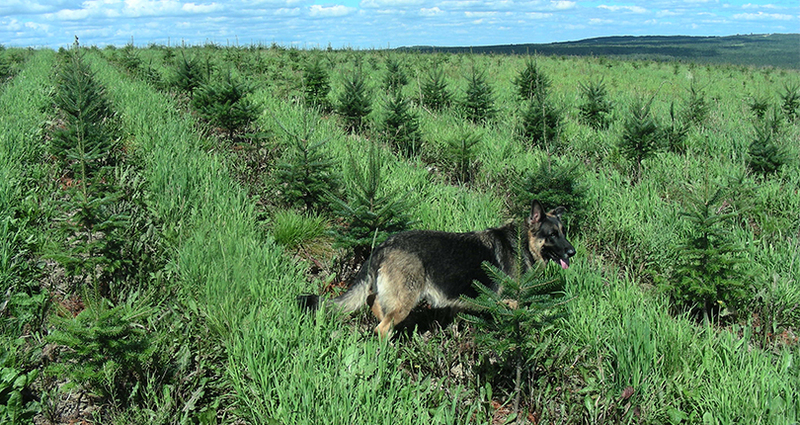 It is in 1955 that Normand Couture, driven by his love of nature and commerce, begins to cultivate Christmas trees. He carries along with him, in this beautiful venture, families of the area with whom he forges lasting bonds of friendship and mutual assistance. He is financially involved in the region and actively develops the market to support the new emerging generation. Following his death in 1985, the company is supported by his only son, Gerald, who takes over and engages with ardor in his father’s world. Despite being faced with multiple obstacles, he forges ahead and develops new markets, improves the equipment and adopts healthier practices to protect and preserve the integrity of the soil. He adapts well to change in order to facilitate the work of his men. His mission is to deliver a quality product, beautiful and fresh and offers a customer service focused on best sustainable and equitable relations. Over several years now, he has welcomed workers from Mexico and will even hire the children and grandchildren of his father’s employees. You want the freshest firs?